Cuttack, the former capital and one of the oldest cities of Odisha is the administrative headquarters of the district. The town is situated at the apex of the delta formed by the rivers Mahanadi in the North and Kathajodi in the South. It serves as a convenient base for touring the various places of interest in the district. Get the information about the best Picnic Spots or most popular tourist spots in Cuttack District of Odisha. If you want to know the List of Famous Picnic Spots in Cuttack District of Odisha then see the below tourist spot link to know about the Places to Visit in Cuttack District of Odisha and experience the Cuttack Tourism. Cuttack is the birthplace of Netaji Subhash Chandra Bose, the famous freedom fighter. He was born on 23.1.1897, at their ancestral house, Janakinath Bhawan at Oriya Bazar and spent his early childhood here. Subhash Chandra Bose studied at Ravenshaw Collegiate School and later went to Calcutta to pursue higher studies. The grand house has been now been converted into the Netaji Birth Place Museum and exhibits memorabilia associated with the great leader, which is worth seeing. Nearer to Atgarh. Ansupa is a small, but a picturesque lake that offers asylum to migratory birds in winter. The water spread is ideal for fishing and boating. 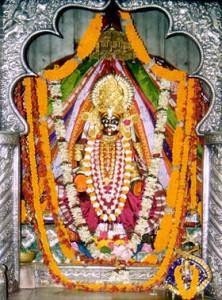 It is a scenic spot with a shrine of Goddess Bhattarika frequented by picnickers all the year round. Situated on the south of river Mahanadi. A place of historic importance. It is one of the industrial centre of Odisha. 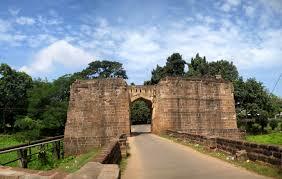 It was once the capital of Somkali Keshar Kings of Odisha. Eight prominent Shiva pithas were established by Keshari dynasty. It is one of the oldest Buddhist site. Lalitgiri was visited by Huien Tsang in 7th centuary AD. The large number of antiquities excavated testifies the place to be a part of Puspagiri Buddha Vihar. Situated on the origin of river Kathajodi a tributary of Mahanadi gives a panoramic view of the vast expanse of the river Mahanadi. There are many Buddhist images found. The place is frequented by devotees offering prayers at Lord Sidheswar. This is also a beautiful picnic spot. The place is famous for gorge, which starts from Satakosia. It is an ideal place for group camping, cruising and viewing a colourful wildlife. The ruins of Barabati Fort with its moat and gate and the earthen mounded of the nine-storied palace of the Ganga dynasty lie on the bank of the river Mahanadi as the silent witness of the vicissitudes of Odishan history. Another item of interest is the Barabati stadium adjacent to the fort. The stadium with its impressive structures covers an area of twenty-five acres and affords sitting capacity for thirty-five thousand persons. Its delightful soft green turn hums almost daily with programmes of sport events and cultural functions. The installation of Flood light system is another attraction of Barabati Stadium. Nearly is the ultramodern Jawaharlal Nehru Air-conditioned Indoor Stadium having a sitting capacity for 6,000 person. 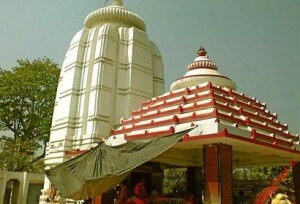 This Place is mainly famous for Goddess Beleswari Temple. This Place is a very beautiful place. 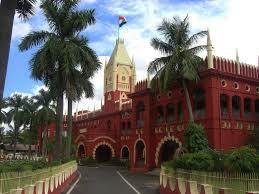 The Odisha High Court was established on 26th July, 1948 and is functioning at Cuttack. The High Court Office is consisting of two departments namely, the administrative Department to carry on the Administrative business of the Court on its Appellate side and the Judicial Department which shall mean and include all the rest of it. A visit without seeing the majestic High court is an incomplete tour of Cuttack. A religious centre, famous for the shrine of Radha Madhab. It is situated on the banks of the sacred river Prachi. The holy historical Sikh Shrine “`The Gurdwara Daatan Sahib`” is situated here. It is here that the first Sikh Guru, Shree Guru Nanak Dev halted on his way to Puri, way back in the 15 century. It is believed that a “Sahada “ tree planted by him after using one of its twigs as a tooth Cleaner still flourishes here, hence is the name Daatan Sahib. The double-decker vessel for cruise across river Mahanadi is the first of its kind river cruise service in the State. This enables people to experience the ethereal beauty of Mahanadi and its surroundings through the trip on the water. The service involves cruise trips on a double-decker vessel replete with modern amenities including food. There are also individual boating facilities through small paddle boats. The vessel for the cruise has a capacity of between 50 and 60 and takes tourists around on a daily basis. 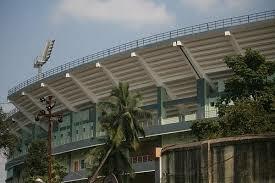 Modern Cuttack boasts of Barabati Stadium, an important venue for international cricket matches. It is home ground of Orissa cricket team and is operated by Orissa Cricket Association. The Barabati Stadium is one of the older grounds in India, having hosted several touring sides – including the MCC, the West Indies team and the Australians – before it hosted its first international match. It is equipped with floodlights for day-and-night games and is a regular venue for One Day Internationals (ODI) matches. Give Responses for "Famous Picnic Spots in Cuttack District of Odisha"